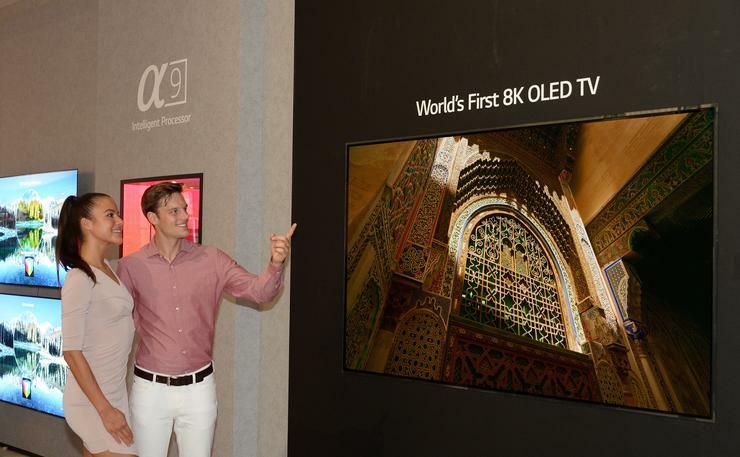 LG has shown off their first 8K OLED TV at this year's IFA. “LG’s first 8K OLED TV is the result of technological achievement and the next evolutionary step in display technology” said Brian Kwon, president of LG Home Entertainment Company. The new TV boasts a resolution of 7680 x 4320 and over 33 million self-emitting pixels. It will be on display exclusively at this year's IFA consumer tech conference in Berlin. The company says that "with OLED TV shipments in the market expected to double in 2018 and reach over nine million units by 2022, LG will continue to increase the OLED share in its premium TV portfolio and drive large scale consumer adoption of OLED TVs." "While the 8K TV market is still in its infancy, it is expected to grow to more than 5 million units by 2022 and LG is committed to leading the ultra-premium market with its 8K OLED TV technology." Availability, pricing and specifications for Australia for LG's first 8K OLED TV have yet to be determined.